Please make all checks payable to: NOCC - DC Metro. Please make sure that in the memo it says DC Metro and who the donations should be credited to. 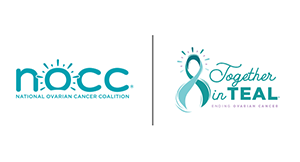 If a donation check has been written out to you personally, you may endorse the back of the check and mail it in with a completed donation form to National Ovarian Cancer Coalition - DC Metro. A personal URL is a shortened link to your team or personal page that you can send to friends and family in emails. A personal URL will look like this http://runwalk.ovarian.org/dcmetro/ben. For website or registration questions please contact: 214-716-0547 support@ovarian.org Upon receiving your request, we will send you a personal response. (usually within 24 hours). Please allow additional response time over the weekend. Special accommodations will be provided upon request. For event information, to view this information in an alternate format, or to request special accommodations, call NOCC at 571-234-5231. Please allow two working days in advance of the event in order to make the necessary arrangements. For general ADA questions/information, please contact the Fairfax County Office of Equity Programs at 703-324-2953/TTY 711.